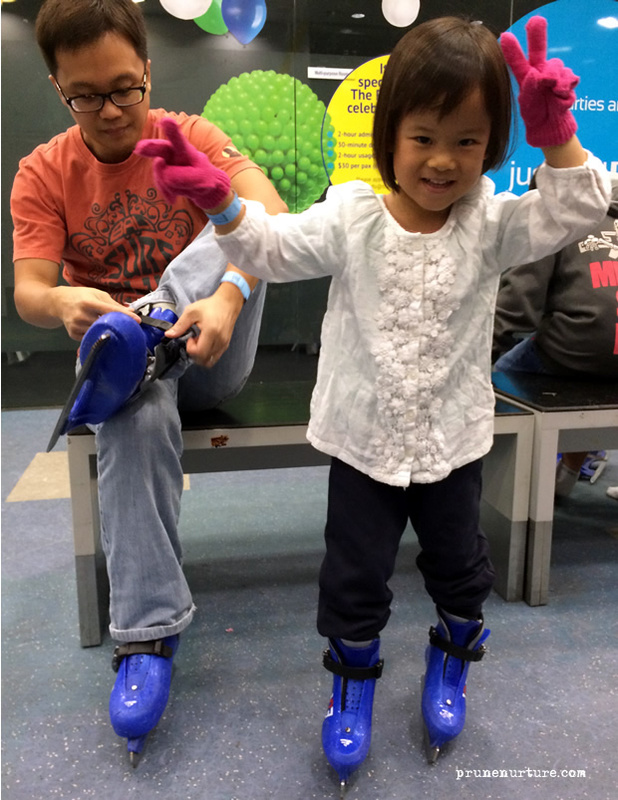 We went to JCube a few weeks ago and Dot wanted to try ice-skating. 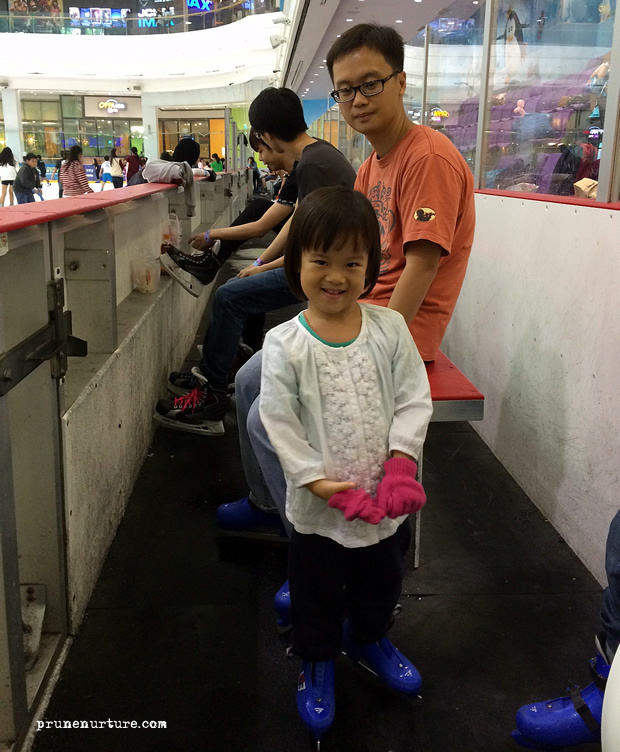 As it was getting late, her dad refused her request but he remembered Dot’s desire to skate on ice. As it was coming to the end of last semester in her kindergarten, we would be meeting with Dot’s teachers to hear from them about her performance, behaviour and attitude in her classes. Prior our meeting with her teachers, Dot’s daddy promised her that he would bring her for ice-skating if her teachers gave us positive comments especially her behaviour and attitude in class. Dot’s Chinese teacher delightfully commented that Dot’s attitude and behaviour improved tremendously especially in the last semester. We were pleasantly surprised as this teacher spoke to us in June this year that we need to help Dot in certain bad behaviour and attitude she exhibited in class. Dot’s wish was granted and we headed to The Rink for her first ice-skating experience. She was really excited!! 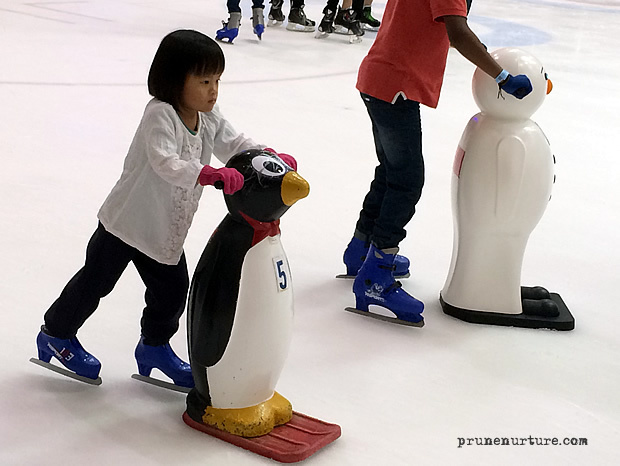 I was at the viewing seat watching both of them skate. Dot was moving very carefully and slowly initially but gradually she got the hang of it and move with much ease. Initially, I was a little worried she might just give up after one round. She did several rounds with little help from her daddy, and had a few short breaks in between before she finally said she was tired. It was a fun experience for Dot. After the ice-skating, she even asked her dad to get her a pair of ice-skating shoes for her and said that she wants to come back again!